Houston officials have been trying to build this facility for 42 years. It was first recommended in 1961. 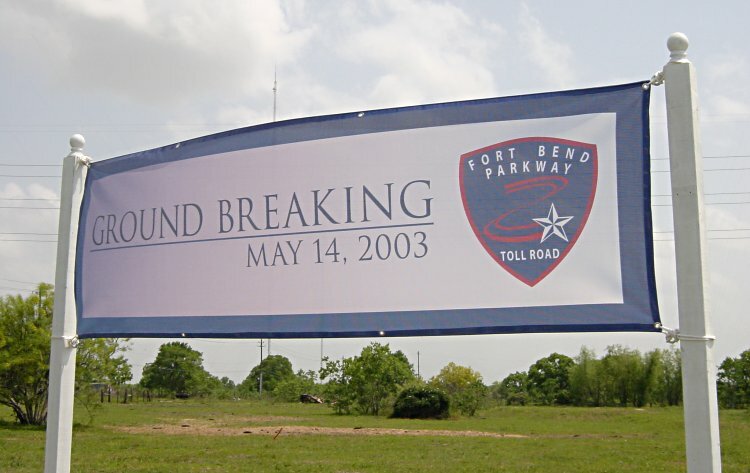 I have included the complete history of the Fort Bend Parkway in painful detail in the upcoming Houston Freeways book to illustrate how difficult it is to build a new limited-access facility in this day and age. It took relentless and persistent efforts for about 30 of the 42 years. 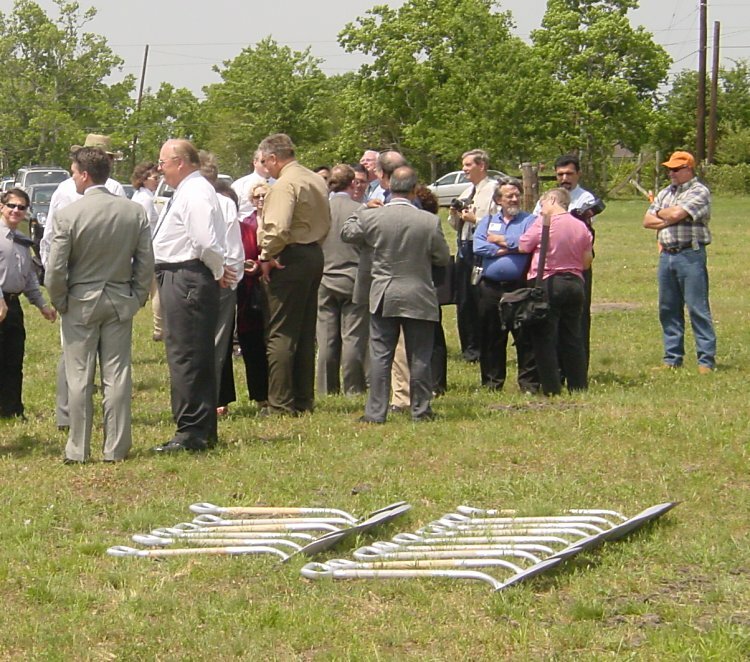 About 100 people were at the shovel ceremony on the location of the tollway, and afterwards there was an indoor ceremony attended by a much larger crowd. The shovels are ready for the officials to arrive. Another group of people pose in front of the sign. 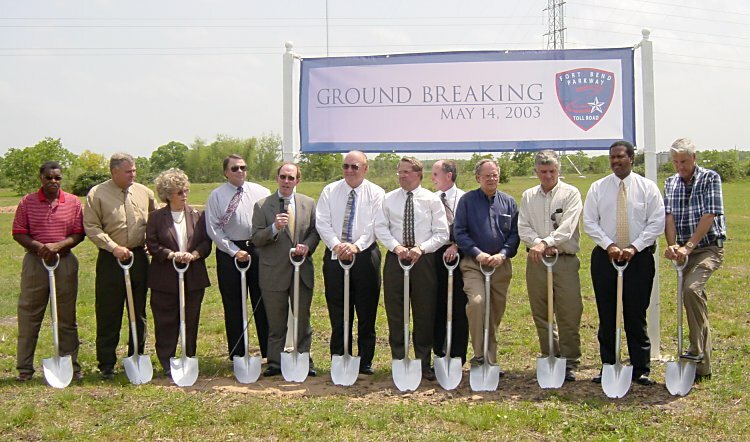 The man at center with the white shirt is Bill Jameson. 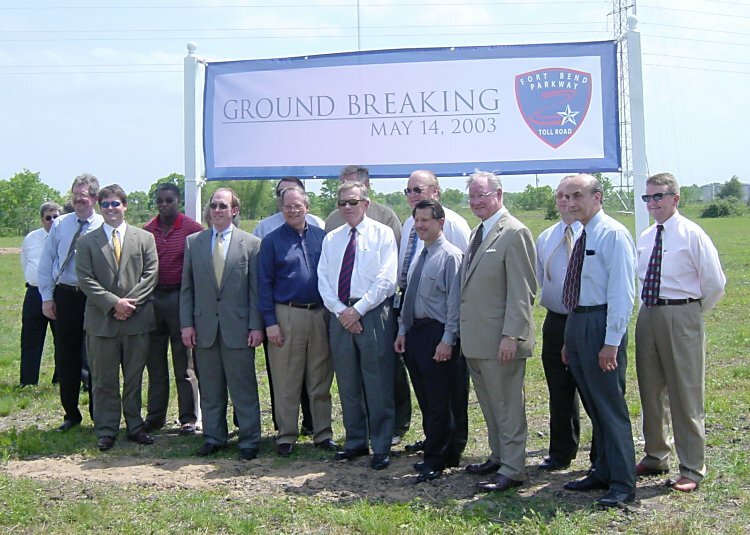 He has actively worked to get the project built since the mid-1980's, and he is the single person (still living) who is most responsible for getting Fort Bend Parkway built.